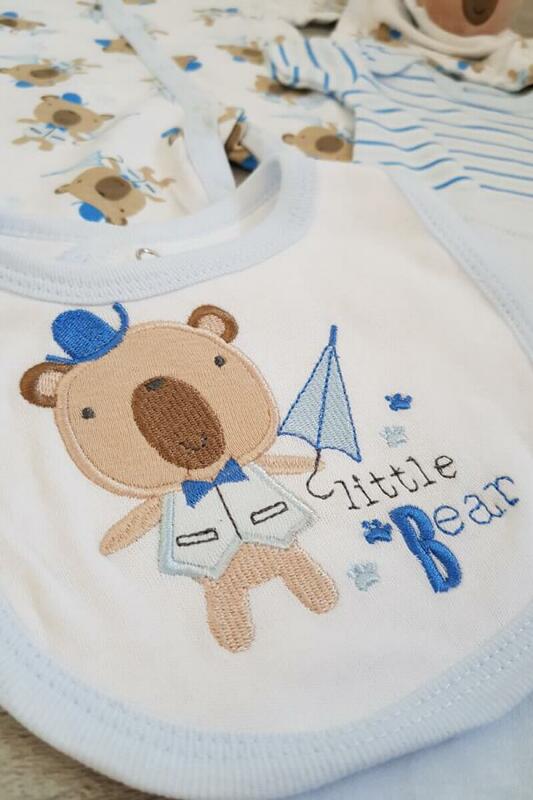 This 6 piece Baby Bear set would make a great addition to any baby boys wardrobe. 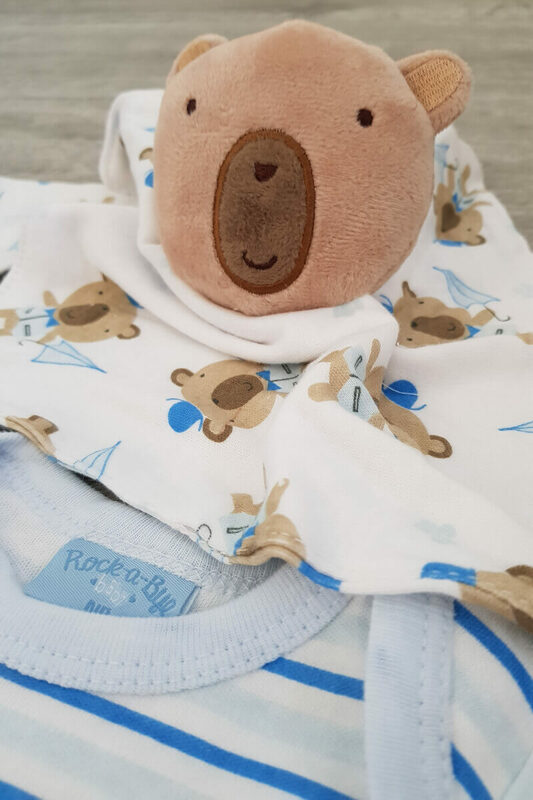 With an adorable baby bear print and a comforter to snuggle up with it also makes a perfect gift. 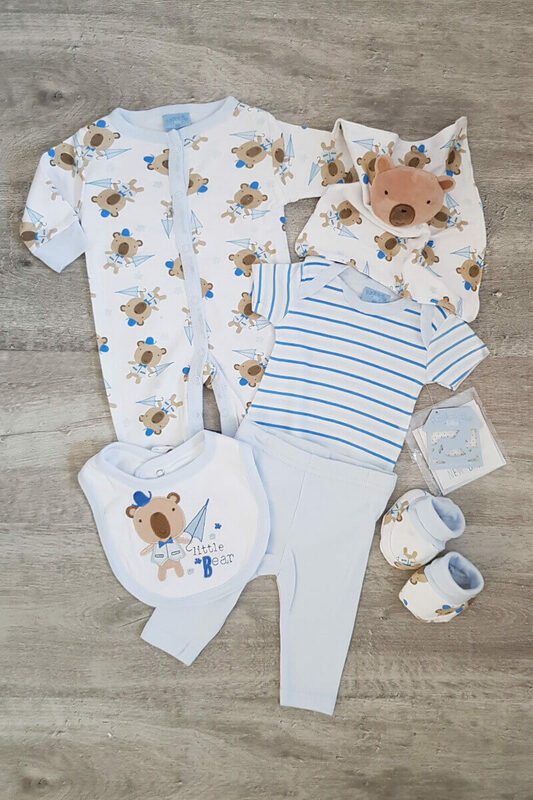 A gorgeous baby gift set which includes a bear print baby grow with matching soft loveable comforter and mittens, blue stripe baby vest, blue baby trousers and a bear baby bib.